It's a girls night out. 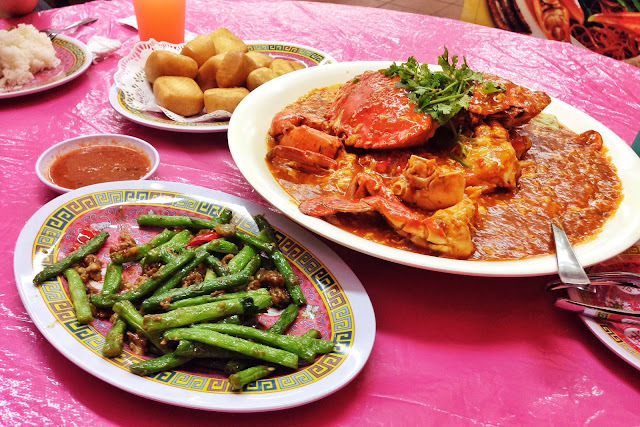 First part of the night, chilli crabs feast at Master Crab Ghim Moh. We had 2 small chilli crabs, 1 veggie, 10 buns and 3 rice. Our bill came up to $93. Next was ice cream at The Daily Scoop Holland Village. The place is pretty packed when we first arrived, and we were lucky to get a table. The girls had icecream while I had Mocha. Sadly the place closes too early while we were still in the middle of our #jetxywedding discussion.